New York City homicide lieutenant Eve Dallas has no problem finding connections between the two crimes. Both women were beautiful and successful; their glamorous lives and loves the talk of the city. 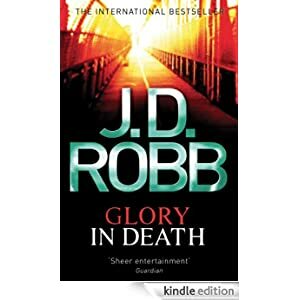 And their intimate relations with powerful men provide Eve with a long list of suspects – including her own lover, Roarke. As a woman, Eve is compelled to trust the man who shares her bed. But as a cop, it’s her job to follow every lead, to explore every secret passion, no matter how dark. Or how dangerous. Buy this futuristic romantic suspense novel for only 99p today. Audiobook: £3.99.